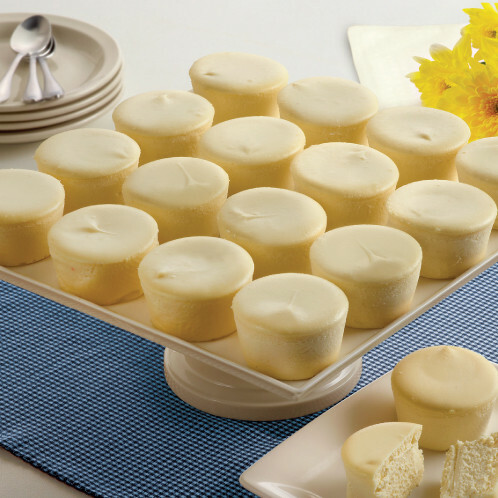 Now you can enjoy Junior's whenever you please with these mini versions of our Original New York Cheesecake. Perfect for a party and can be served with a variety of fresh fruit toppings. Includes 18 'Lil Fellas 4oz. Cheesecakes. *Remove from package frozen. Defrosts in 30 minutes.